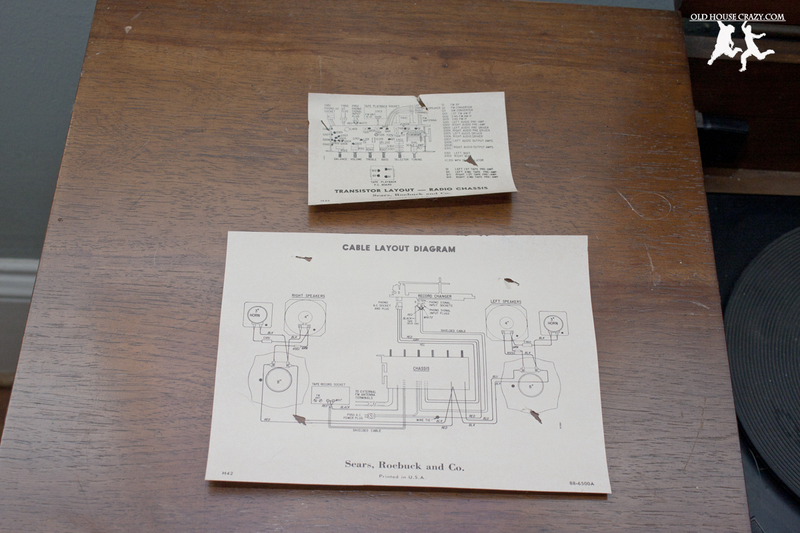 In 1971, my parents purchased a brand-spankin-new stereo console from Sears. It was stylish, well made, and one of their first furniture purchases. 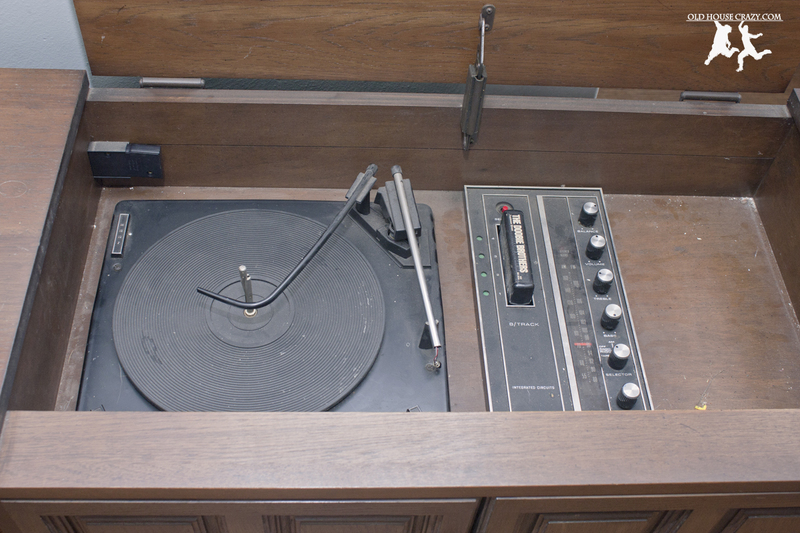 This beast had a radio tuner, record player, and an 8-track player. In true 70s style, the speakers are hidden behind some awesome orange-brown speaker cloth and the brains are under a lift-up panel. 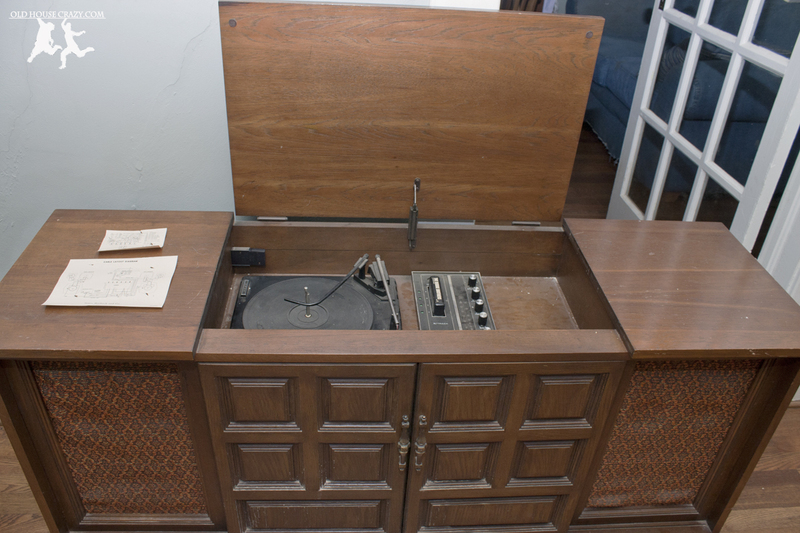 The hidden nature of the radio controls and its old age make it really easy for people our age to ignore this piece of furniture and think it’s just an old dresser. This piece has been passed around my family a bit since its original purchase in 1971. Between then and the year my brother went to college, records and 8-tracks went the way of the dodo, and only the radio and speakers still worked, sort of. My brother took the stereo and used it as a radio and conversation starter in his college apartment. Four years later, he gave it to me for the same purposes in my college apartment. After college, the console came home with me and eventually found its way into our crazy old house. Now, it is certainly not period appropriate to our home, but we love it and its family history. When you turn on the radio, the speakers (when they’re working) use our old wooden floors to amplify the sound and you can hear it throughout our home. The radio tuner only works if you crank the knob all the way up to 107 fm and then bring it back down into the 90 fm range. The speakers occasionally go in and out. There is a Doobie Brothers 8-track in the player with my dad’s name printed on it using one of those old label makers. 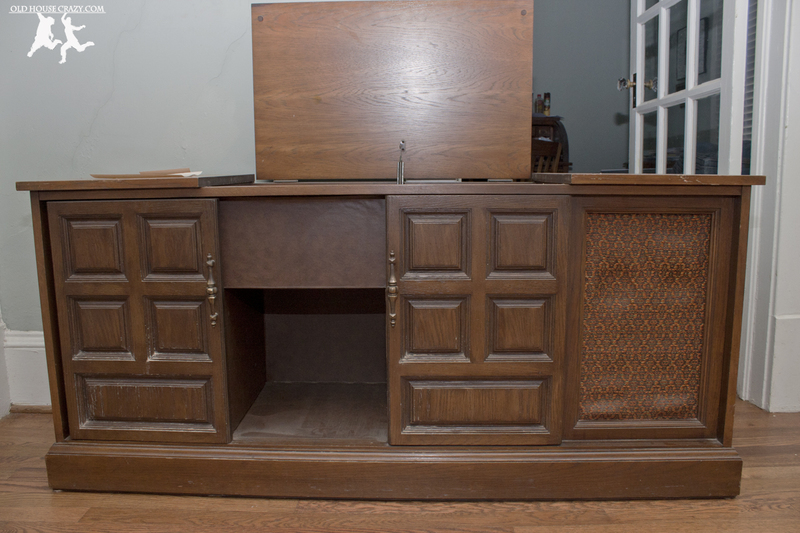 Even with our love for this piece, we decided a while back that we’d sell it and put something else in its place. We dragged it out into our yard during our yardsale a few weeks ago and tried to get some goofball to give us 50 bucks for it. 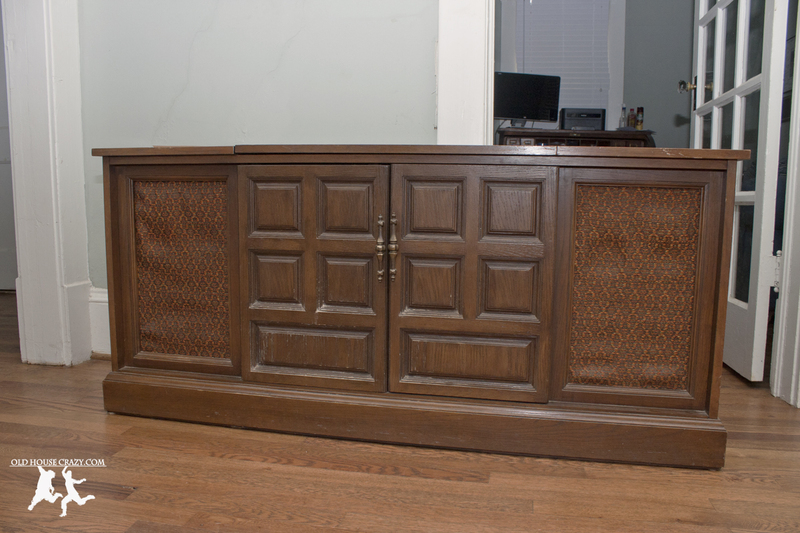 During the process of selling it, I turned on my killer salesman tactics (teachers make great salesmen) and told people that they could refinish it, replace the speakers, hook it up to your home audio with some new brains, and have a really awesome, retro-styled, home entertainment center. I totally sold it. . . to myself. So that’s what we’re planning to do: sand and refinish the wood. Replace the speakers with new ones that aren’t 40 years old. Rip out the old audio equipment and drop in some updated brains, capable of playing digital files and CDs even. 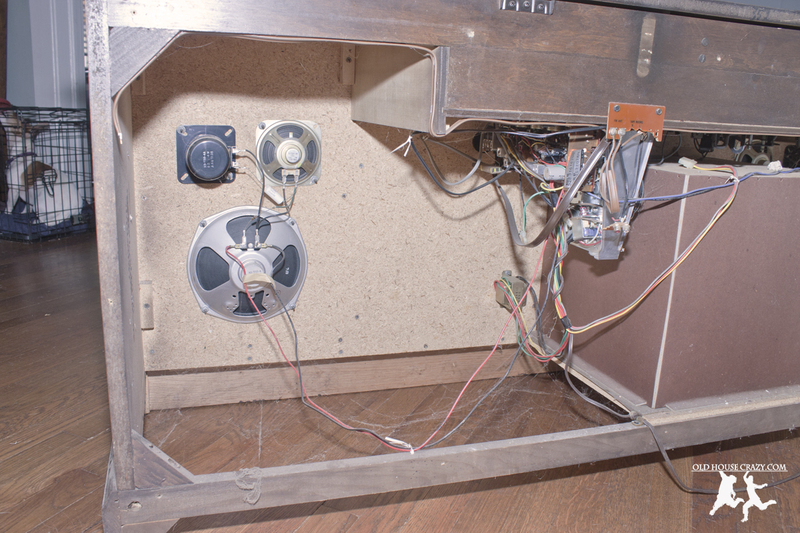 Run cables through the walls and connect this console to exterior speakers on the porch and in the backyard with controls in the console. Rock. Here’s the problem: I have a nerdy highschooler’s understanding of audio equipment. That’s to say that I know the names of all the speakers and components, but when it comes to actually wiring and soldering new stuff together, I’m ignorant. This should make a very interesting project, as I’ll be doing a lot of learning over the next few months. The goal is to finish before Christy’s birthday in January so we can crank it up for her chili party. This entry was posted in DIY, Electronics, Furniture, Old Hardware, Restoration and tagged DIY, diy project, Do it yourself, electronics, Furniture, home entertainment, stereo equipment. Bookmark the permalink. Very excited about this project as I just bought a console myself! And all the 8-tracks I got with it were totally accessorized with colorful labels. 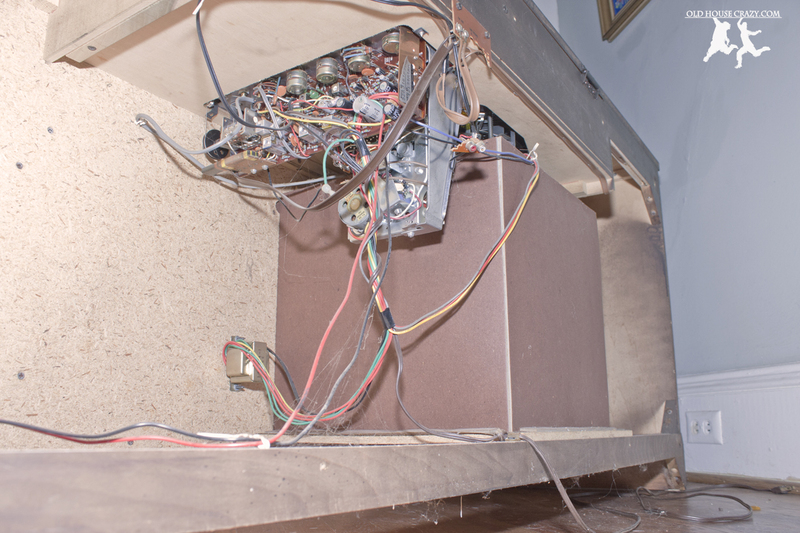 I live in Columbia SC and want to have this done to my 70’s stereo player system. But I am looking on the internet and do not see a business that does this. Can you make a suggestion? How would I look for someone who does this ? I haven’t heard of anyone doing this as a business.